Some people seek out the advice of an estate planning attorney not because they need help creating their own plan, but because they are interested in litigation. Litigation is simply a fancy word for filing a lawsuit. 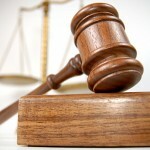 Going to court is usually not an easy decision to make, but it is the appropriate one in many circumstances. Estate and trust litigation can arise for any number of reasons. While litigation isn’t always possible, there are some situations in which litigation is more common than others. You should always talk to your estate planning lawyer if you are considering filing a lawsuit, but here are several areas that can lead to estate or trust litigation. When you create a trust, you have to appoint a trustee who will manage the trust property in accordance with the terms you select. The trustee you choose has significant authority, and in some cases that person or organization can misuse that authority. Trust mismanagement and trustee misconduct are common sources of trust litigation. When trust beneficiaries believe the trustee is not acting properly they can initiate litigation to, for example, have the trustee removed, change a trustee’s actions, or receive compensation for the damages they’ve suffered. If you’ve been following the story of the Huguette Clark estate in Manhattan, you know that will contests can be serious affairs. When a person, usually someone with a lot of wealth, dies and leaves behind a last will and testament, those who stand to inherit can often challenge the will. Will contests are most common in situations where the deceased person had a large estate. However, not everyone can challenge a will, and not all will contests are worth the effort. When a person becomes incapacitated, someone has to step in to make decisions for the incapacitated adult. This person, known as a guardian, has the legal authority to act in the best interests of the incapacitated person, known as a ward. Yet not all guardians act as they are supposed to. In many situations, the family members or loved ones of an incapacitated person can challenge a guardian on the decisions he or she makes. They can also begin litigation to ask a New York Surrogate’s Court to replace the guardian with someone else. There are numerous reasons why people might want to begin estate or trust litigation. An experienced estate planning lawyer will be able to tell you what your options are, and what you will need to do to pursue it. Always talk to a lawyer whenever you have questions about any estate planning or litigation issue.